ICICI BranchIn a move which would affect 15% of its total savings banks account, ICICI Bank has increased the minimum quarterly average balance required for its savings accounts from current Rs.5,000 to Rs.10,000 w.e.f. July 1, 2008. The revision has been made after a long gap and according to the bank is due to rise in infrastructure costs. However, this may also be a part of the company’s change in strategic focus as it would have fulfilled its targeted customer base and would have wanted to switch to accounts with higher deposits. As the cost of maintaining a low and high balance amount works out to be the same for the bank, the bank would have thought it’s better to serve high value accounts rather than regular accounts. Although, zero balance and special accounts like salary, senior citizens and no-frills accounts would continue to enjoy the same privilege as earlier. 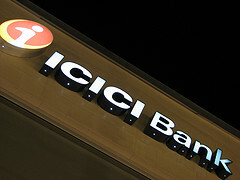 With this rise, ICICI Bank joins Kotak Mahindra Bank to become the most expensive bank to maintain a Saving Bank A/c. Other private sector banks continue like HDFC, Axis continues to have Rs.5000 as minimum average quarterly balance. On the other hand, PSU banks still have Rs.500 / Rs.1000 as balance requirements while most foreign banks require Rs.10000 as minimum QAB. The current penalty for non-maintenance of QAB for ICICI Bank customer is Rs.750 + 12.36% service tax. And with rise in QAB, the penalty amount is also expected to rise proportionally, considering ICICI penchant for levying charges on non-fulfillment of bank requirements.